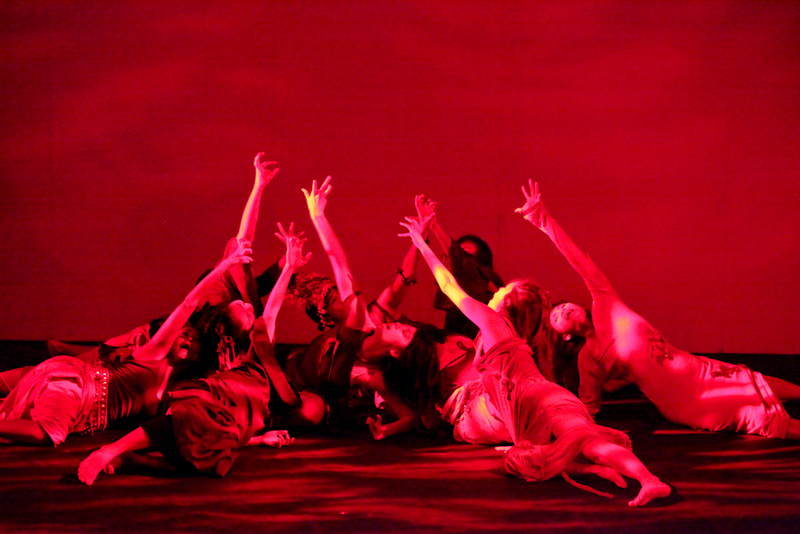 As well as being an MA student I am also a Butoh dancer, when GemArts discovered this they asked if I would write a piece for the blog explaining a bit about this dance form, so here it is. I first started learning Butoh in 2009 with Malaysia’s first Butoh company Nyoba Kan. At this time I also learned from an important mentor, Yukio Waguri, a Butoh master from Japan. Yukio Waguri was the main disciple of Butoh founder, Hijikata Tatsumi (1928-1986). Butoh was founded by Hijikata and Kazuo Ohno after World War II, when Japan was ruined and people started questioning their Japanese identity, resulting in Western culture becoming overly influential. Hijikata wanted to find a “true” dance, one that demonstrates the real identity of the dancers. Hijikata did many experiments before he named this new dance form “Ankoku Butoh” (dance of darkness). Unlike Western Ballet dance, in which the dancers try to dance upward and reach to the sky, Butoh dancers try to move downward to the earth, where they try to find their identity in the inner world. Indeed it is not easy to give a definition of what Butoh is, I always forget exactly how I have explained Butoh right after I have told people about it. 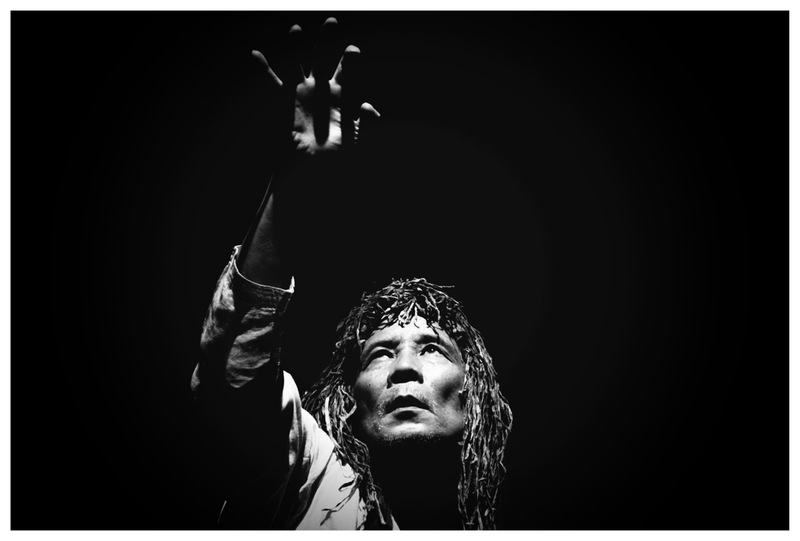 I would love to share with you the meaning of Butoh, as written by my dance mentor Mr. Waguri, so please read on and enjoy his thoughts on this art form. The word of the “Butoh” has come from China. It also appeared in Japanese ancient documents 1,000 years ago. Before that the “Butoh” itself meant foreign culture or entertainment. The “Butoh-kai” held during Meiji period also used in the meaning to express the western culture. Currently, an enormous information network was set up all over the world, and the speed of the international interchange has really changed. Nowadays all of us facing with the overflow of the information, but that is necessity to stop once and consider the meaning of the “Butoh” again. The character [Bu] of the “Butoh” means to turn/spin, over the mind concentration, it caused a de-soul situation then to let the spirit of god or ancestors or ghost to go into the empty container or human body and make them dance. And for the character “toh”, means step cautiously, jump, while the body absorbed the energy from the earth, the existence of the power to confine the bad soul of the underground. Also for the liberation from the daily hard working, the joyfulness of the good harvest, then become a celebration of religious service in the rhythm of nature, a ritual ceremony to call the spirits of the ancestral to return happily, and after that developed into a national level religious event. Naturally these “Butoh” exist everywhere in the world. It is not the unique thing that only occurred in Japan. Then, what is the meaning of “Butoh” in nowadays? Due to the pioneer appearance of Hijikata Tatsumi/Ono Kazuo in year 1950-60, those arts expression was called avant-garde dance (ankoku butoh). After some time the “Butoh” was recognized and spreads out to the world, from then the name “ankoku” was disappeared and they started to call it “Butoh”. But I think that “ankoku” is the most important part for me. To set one foot step into the totally new area, actually it is an experiment mind for me. That is the reason why “Butoh” is defined as art. Why does the human desire for the light? I think none of them would like to live along in the darkness, neither in the society nor inside the human himself. We can only imagine the Land of Happiness, but the Hell is always in front of us. We must continuously face the darkness and death. Even if we try to ignore their appearance, with only express the existing beautifulness and dreamlike story, it will be turnout to be a poor art performance. The “Butoh” shows that the existence of human being itself is an art. Currently we believe the harmony between the power and simplistic beauty from Europe, excessive belief to the health, the standard value of the beauty of the proportion, forced to accept the value of the commercialization of the arts. Especially the tendency is obvious in the dancing. So the “ankoku Butoh” began to pose the doubt about them. Isn’t it the “Butoh” rediscovered the human gentleness after the 2nd world war? What is the “beauty”? What is the expression come from the the unique ethnicity body/culture? These questions are the starting points of the “Butoh”. The arrogant humanism, mammonism are covered the world and begin to alienate human being itself now. The uneasiness for the human being actually is the human being itself now. Although globalization is loudly shouted nowadays, each of us has to find our ways to solve the problems and step forward. “Avant-garde art, zen ei gei jyutsu” isn’t formed by begging hands. False or untrue gentleness and sympathy have nothing to do with “Butoh”, because everyone stands with their own foot to start to dance. And it is necessary to go through a long pupa period to become to flap like a beautiful butterfly. There is hope in the difficulty, after pass through the darkness then the light of the hope is waiting for us. While the world is facing with the political turbulences and the changes of the economy, in fact in our inner side, “Butoh” let us know that there is a boundless space surpassing the reality. The master Hijikata Tatsumi said that “the Butoh learn from nature, the body learn from the things”, I feel that is very meaningful for me. I think that the “Butoh” lives independently in the world, and from now on I will keep on thinking what is “Butoh”?